Situated at an half an hour drive’s distance from Cadiz, the Castle of San Marcos is a sight to behold! Built in the 13th century on the site of a mosque, the castle was created by Alfonso X the Wise. It was later the home to the Duke of Medinaceli. Trivia- Christopher Columbus and Juan de la Cosa list among prominent guests of the castle! Visit to the castle is by guided tour and is by appointment only. Guided tour also includes trip to the San Marcos Castle Winery of the Caballero group. If you don’t wish to see the winery, free tours are available on the spot at the castle. However, you will have to wait for a while to join a tour group since fixed timings don’t apply. Guided tours are conducted Tuesday to Saturday (July-Sept) and Tuesday, Thursday and Saturday (October-June). A general trend of the tour timings are: from 10:30 a.m to 2:00 pm. Tours in English are conducted at 1/1:30 pm. How popular is Castle Of San Marcos? 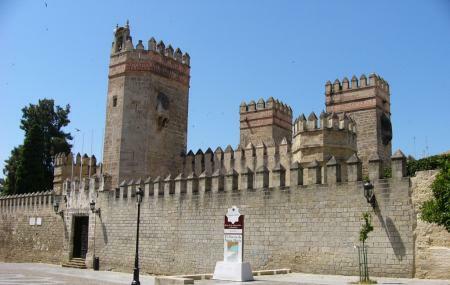 People normally club together Bodegas Tradicion and Pylons Of Cadiz while planning their visit to Castle Of San Marcos. Fun little afternoon visit for 30 minutes to an hour. Didn't get to go inside because there was a group that had it reserved. Sadly we couldn't visit as it was clotted by the time we found it on our last day. Nonetheless, a beautiful and impressive building for this little unassuming town. A real surprise and gem. Very well restored medieval castle. Can only be seen with your guide. Wine tasting at the end of the tour. Beautiful location with a fascinating history for those interested in Spain's religious history. The coexistence of different periods of architecture that reflected the prevailing religious authority at any particular time. Knwledgeable and engaging guide - loved the hidden wall and the enclosed orange grove. A group of teenages remained engaged during the entire tour. Worth a visit.